Two casting scripts for the upcoming Netflix adaptation of The Witcher have been leaked. 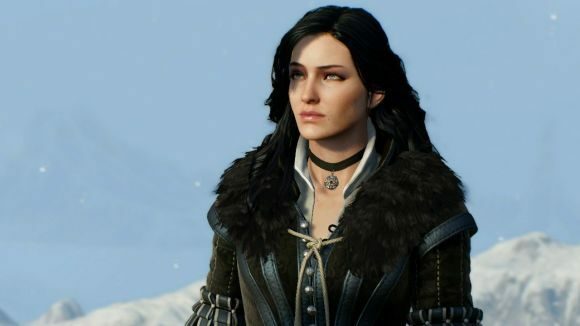 The two brief excerpts, which were leaked via the franchise’s subreddit, focus primarily on Yennefer of Vengerberg, a sorceress who’s one of main character Geralt’s major love interests in both the Witcher games and novels. It’s important to note from the outset that these scripts are solely for casting purposes, and, as showrunner Lauren S. Hissrich pointed out on Twitter, “they are not real scenes or scenarios or even storylines from the show.” Hissrich also stated that the production team had been expecting the scripts to leak. Despite Hissrich’s statement, however, it’s likely that we’ll see some similarities between what we can see in the scripts, and what will eventually air. One scene sees Geralt and Yennefer bicker as the latter attempts to prepare the Witcher for a ball, which is a concept I definitely recognise from the games. The second sees Yennefer in an argument with an unnamed king, which also doesn’t stray all that far from the source material. The scripts also mention a handful of other characters from the books and games. During her conversation with Geralt, Yennefer mentions fellow sorcerers Sabrina and Vilgefortz, who are referred to throughout the game trilogy. She also mentions Triss Merigold, who, as you’ll know if you played The Witcher 3, is a more suitable romantic companion for Geralt. Don’t at me. Other than the names of some characters you’d probably expect to show up, then, the casting scripts don’t tell us all that much. For my money though, they seem to do a good job of capturing some of Yennefer’s terrifying duality, as well as the relationship between her and Geralt. You can check out both scripts in their entirety on Reddit. Sadly, you’ll still be waiting a while for a chance to see the series – it’s not set to air until 2020. Maybe now’s a good time to start that next playthrough of The Witcher 3?